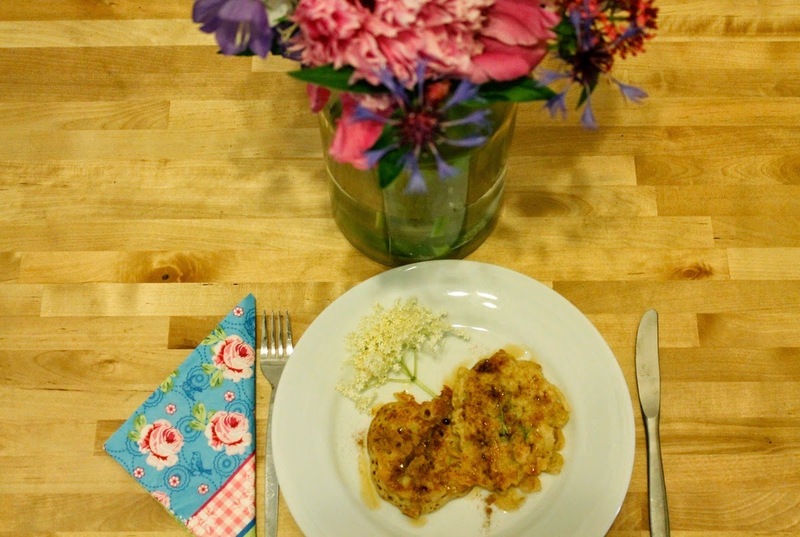 Today I want to share one of my favourite (sweet) summer recipes with you: baked elderflowers with maple syrup. At this time of the year you can find elderflowers almost everywhere in Austria. I got mine from Steinhofgründe as Katja was so nice pick a bag full for me at one of her evening runs. Put the elderflowers heads down into a bowl of water for a few minutes and carefully wash the stems. 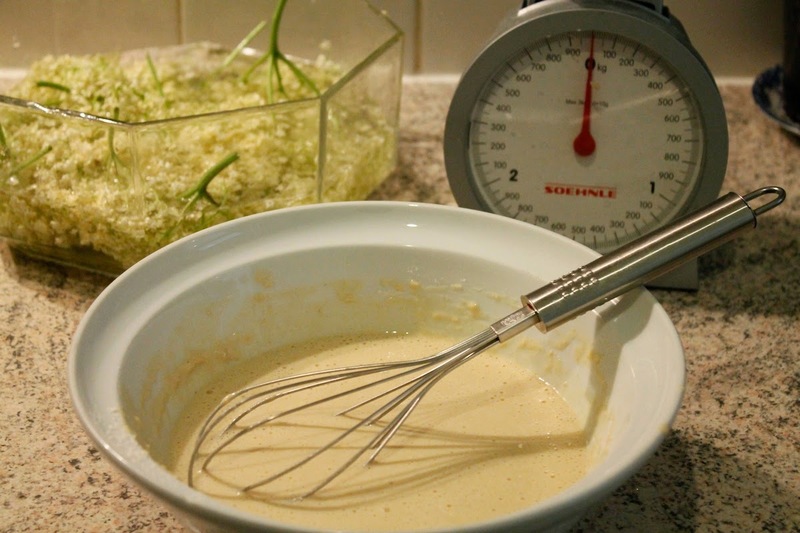 For the dough mix the soy milk, the spelt flour, the baking powder and the maply syrup with an eggbeater. Stir well! Heat up the oil in a pan. 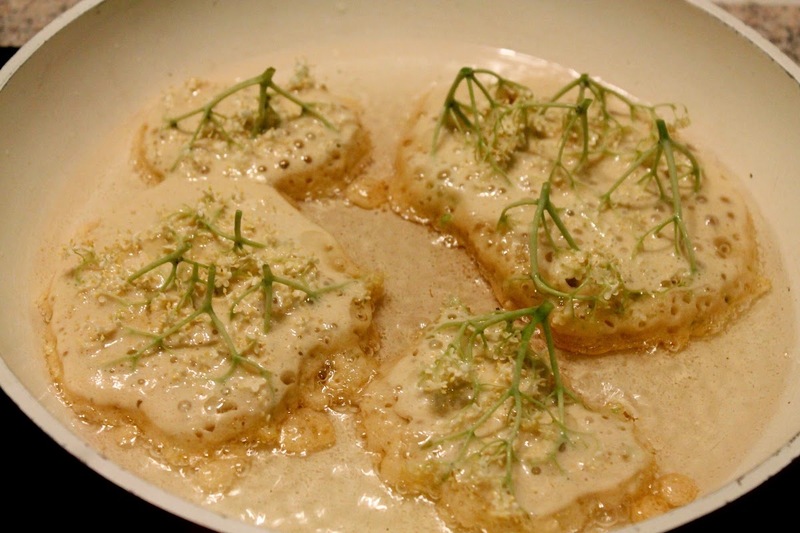 Pull the elderflowers through the dough and put them into the hot pan. 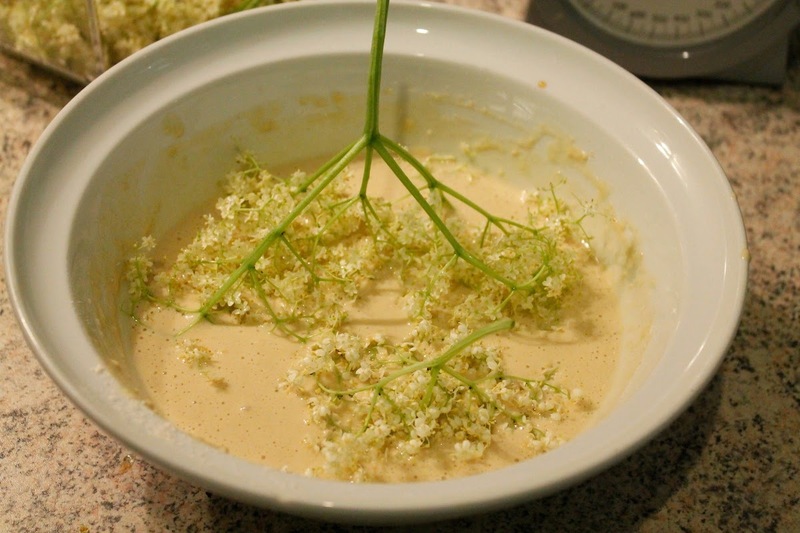 When the dough starts to get solid you can cut of the long green stems of the elderflowers. 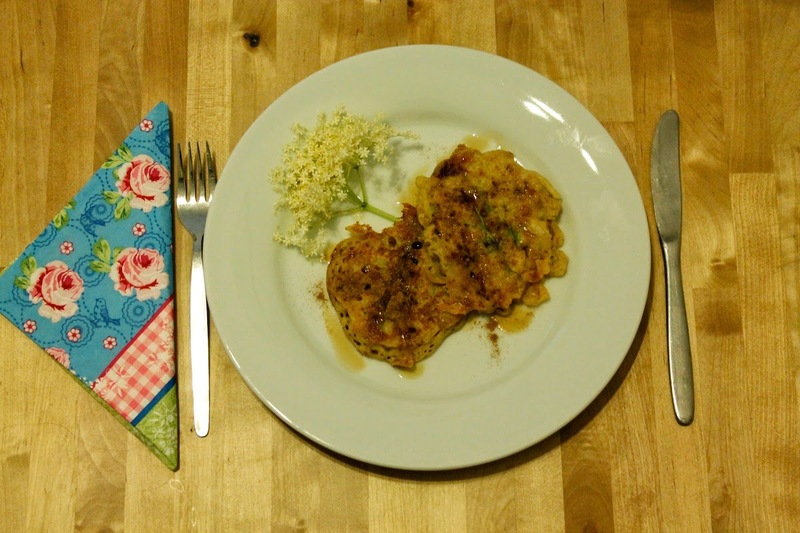 Flip the elderflowers and bake until both sides are golden brown.